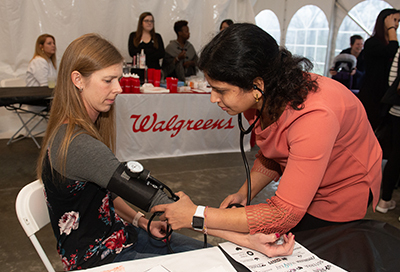 Photos: Third-year School of Pharmacy student Smita Rausaria checks the blood pressure of event participant Sue Slimack, of Belleville. 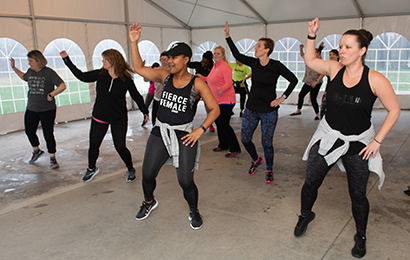 At the Ladies Night Event, many attendees enjoyed Zumba classes led by instructor Sonja Collins. 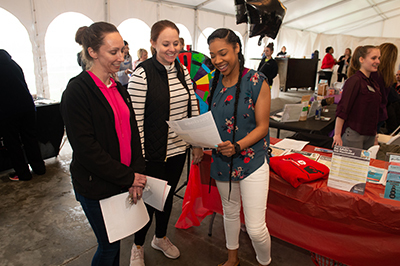 Third-year School of Pharmacy student Deja Finley shares educational information with event participants Mary Schmitt and Jamie Kuhn, of Freeburg.